The LTE router/gateway market will grow from approximately $804.2 million in 2018 to $1.9 billion in 2022 at a compound annual growth rate (CAGR) of 27.4%, according to a new report from IDC. Regionally, North America will remain the largest consumer of LTE routers/gateways, but Asia/Pacific, including Japan and China, will grow the fastest over the forecast period supported by continued expansion and/or densification of macro LTE networks in the region. "The enterprise LTE appliance market is seeing rapid uptake globally, prompting incumbent suppliers and new players to seek differentiation to demonstrate value. Some are focusing on the software layer, or wireless SD-WAN, while others are leaning on their technology heritage in addressing IoT requirements. Whatever the strategy, branch, mobile, and IoT are emerging as the three main use cases for LTE routers and gateways," said Patrick Filkins, senior research analyst, IoT and Mobile Network Infrastructure. Branch connectivity: Products designed for stationary, onsite functionality are often integrated with LTE, WiFi, and wired functionality. In addition, solutions often incorporate enhanced security features (e.g., firewall, threat management). An overarching software-defined component, often delivered from the cloud, can be incorporated to deliver enhanced management and coordination. Mobile connectivity: Mobile LTE routers are often affixed to vehicles, rail systems, or other "on the move objects" that require connectivity. An emerging use case is for public safety networks, including first-responder networks, where cellular connectivity can meet the stringent demand for mission-critical communications. Internet of Things/M2M: These solutions, which can be gateways, often offer a base feature such as protocol conversion but may incorporate the advanced features included in branch and mobile solutions as well. The worldwide 5G network infrastructure market is expected to grow from approximately $528 million in 2018 to $26 billion in 2022, according to IDC's inaugural forecast for this market segment, and representing a compound annual growth rate (CAGR) of 118%. The 5G network infrastructure market includes 5G RAN, 5G NG core, NFVI, routing and optical backhaul. IDC expects 5G RAN to be the largest market sub-segment through the forecast period, in line with prior mobile generations. Huawei said traditional narrowband solutions based on VHF (30 MHz to 300 MHz) and UHF (300 MHz to 3000 MHz) bands are flawed with low data rates, long latency, small capacity, which means they are unable to meet the demand for sustaining IoE growth. Huawei has designed the eLTE-DSA solution to overcome the obstacles of traditional narrowband solutions and support IoE developments through leading advantages in Wireless Communications developed over the years. By aggregating discrete narrowband resources, Huawei said its solution achieves access with an end-to-end delay as low as 20 ms and a huge capacity of up to 4,000 users in a single cell. The transmission rates reach kbpss to Mbps and the module power consumption is as low as 0.15W. This solution noticeably improves spectrum efficiency, capacity and performance of the networks, enabling the energy industry to move seamlessly towards 5G-oriented IoE. Eric Sun, President of Huawei Enterprise Wireless Business, said: "Going wireless will provide the foundation for the Internet of Energy. 4.5G technology will enable the Internet of Things, and 5G will accelerate the connection of people and things. With leading technological advantages in 4.5G and 5G, Huawei has successfully developed the 4.5G-based, 5G-oriented eLTE-DSA solution." 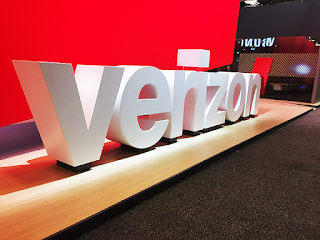 Verizon announced 4G LTE over CBRS spectrum (Citizens Broadband Radio Service) using its live commercial network in Florida. The deployment uses a combination of Verizon licensed AWS and 700 MHz spectrum aggregated with 50 MHz of CBRS band 48 spectrum. Verizon said it has achieved peak speeds of 790 Mbps using LTE Advanced features including multiple antennas, 256 QAM, and carrier aggregation across the shared and licensed spectrum. The deployments in Florida involved outdoor and in-building systems. Ericsson provided Ericsson Radio DOT system for indoor and Radio 2208 for outdoor, Qualcomm provided its Snapdragon TM 845 mobile test device with X20 LTE for access to CBRS on mobile devices, and Federated Wireless provided the prioritization through their Spectrum Controller, a Spectrum Access System (SAS) that dynamically allocates channels within the FCC’s spectrum sharing framework for this band. Ericsson also provided the domain proxy to enable the radios to communicate with the Federated Wireless Spectrum Controller. 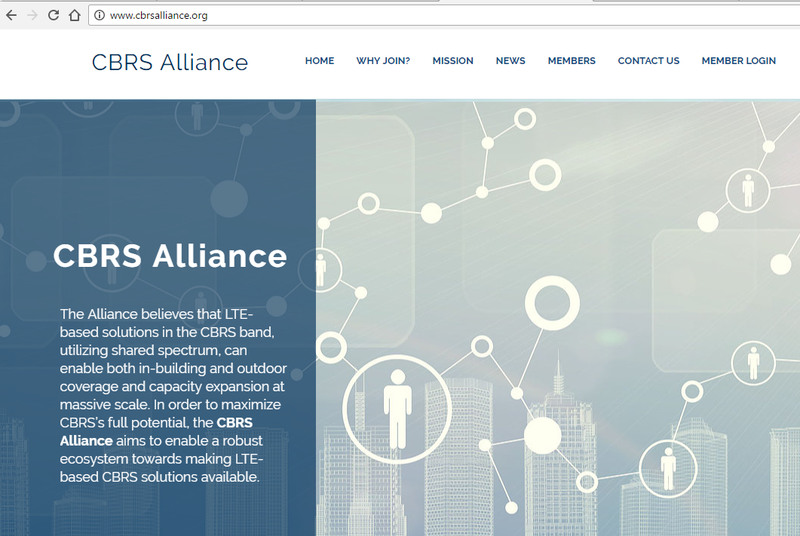 Commercial devices that can access the CBRS spectrum are expected in 2018. Verizon said this real-world deployment marks the beginning of public access to the 150 MHz bandwidth of 3.5 GHz shared spectrum which until now has been used by the federal government for radar systems. Skyworks Solutions, a developer of analog semiconductors, and Sequans Communications announced a jointly-developed connectivity engine for next generation LTE devices. Specifically, the new solution combines Skyworks’ front-ends with Sequans’ Monarch LTE-M/NB-IoT platform. The feature-rich product includes an integrated baseband, SRAM, RF transceiver, RF front-end, passives and power management in a single 8.8 x 10.8 x 0.95 mm package with proprietary RF shielding. It is compliant with 3GPP Release 13/14 LTE Advanced Pro specifications, including VoLTE support, is optimized for LTE UE categories M1, NB1, and NB2 and operates across broad frequency ranges (700 MHz to 2.1 GHz) to support global deployment and roaming capability. Proprietary power management techniques offer improved battery life. The solution has been pre-certified with leading operators through existing certifications of Sequans’ Monarch platform. The button connects to the cloud via LTE Cat M1 (any carrier frequency worldwide), and is designed to sustain up to two thousand clicks. It measures 65 x 65 x 25 mm. As a "one-click button" the device could be programmed for a range of IoT applications, such as mobile ordering of products or supplies, triggering of automatic alerts, or provisioning of logistical services or maintenance tasks that occur at irregular intervals. 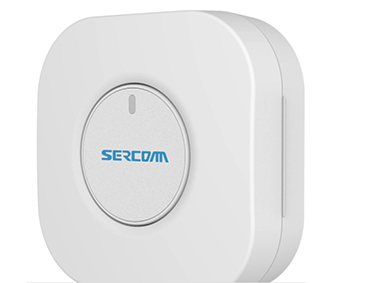 The button was designed and manufactured by Sercomm and based on Sequans’ Monarch LTE Cat M1/NB1 Platform, which provides support for power saving mode (PSM) and extended discontinuous reception (eDRX) to enable the long battery life needed by many IoT use cases. Battery life is estimated 3 years. Sequans’ Monarch is already certified by Verizon and AT&T and in the certification process with many other carriers. In a demo conducted at T-Mobile's lab in Bellevue, Washington, T-Mobile and Ericsson achieved speeds of 1.1 Gbps using 12-layer Licensed Assisted Access (LAA) technology. The set-up sued Ericsson's Radio System and the TM500 network test equipment from Cobham Wireless. 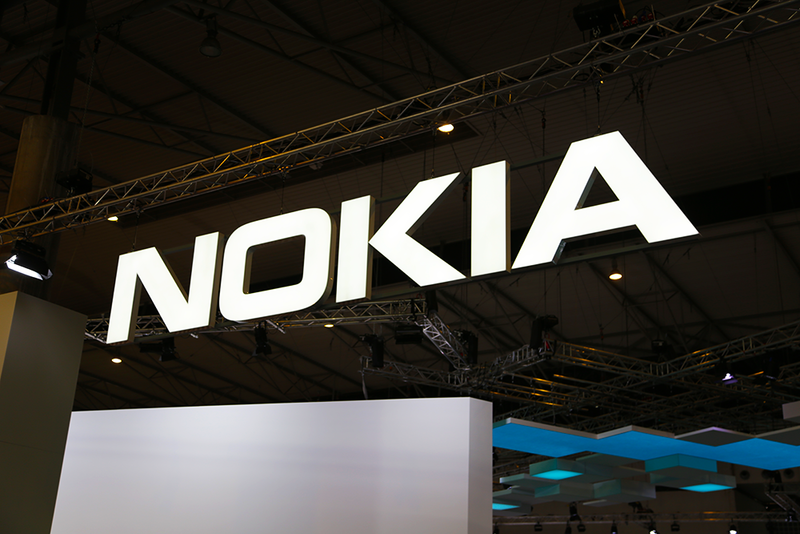 The test combined several LTE technologies including 256 QAM, 4x4 MIMO, and LAA by aggregating two licensed carriers and three unlicensed carriers. The Ericsson Radio 2205 delivers LTE on the 5GHz unlicensed band in outdoor micro cell environments. Using LAA, the unlicensed carriers can be aggregated with licensed carriers on the micro cells or on nearby macro cells. The companies claim this to be the first demo in the world to hit speeds beyond the 1 Gbps threshold on unlicensed spectrum. “Breaking the 1 Gbps-mark means that commercial gigabit speeds are not far from reality for many broadband users, with our LAA and MIMO technologies as key enablers. It is also an example of how innovatively we work with partners to push the boundaries of technology and achieve new milestones,” said Fredrik Jejdling, Executive Vice President and Head of Networks at Ericsson. 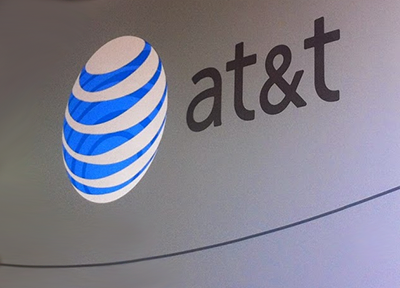 AT&T has deployed commercial LTE-Licensed Assisted Access (LTE-LAA) in downtown Indianapolis. LAA offers theoretical peak speeds of up to 1 Gbps. In previous field tests, AT&T observed actual peak wireless speeds of 979 Mbps. The Samsung Galaxy Note8 supports LTE-LAA. 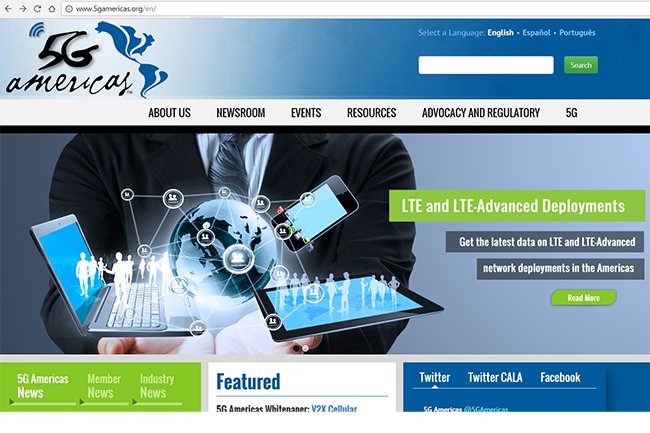 AT&T describes LTE-LAA as a stepping stone to 5G, which it aims to commercialize as early as late 2018. The progression includes upgrading cell towers with 5G Evolution technologies like 256 QAM, 4x4 MIMO and 3-way carrier aggregation. The global migration from 3G to 4G continues to gather pace. Global LTE connections grew 59 percent from June 2016 to June 2017 reaching 2.37 billion, according to 5G Americas and Ovum, and now constitutes 30% of all cellular connections. North America achieved 327 million LTE subscriptions by the end of June 2017 with some of the highest penetration rates, most extensive coverage and largest market share for LTE in the world. Latin America nearly doubled LTE connections to 159 million from 81.5 million year-over-year at 2Q 2017 increasing by 95 percent. New LTE deployments continue and as of mid-August TeleGeography (GlobalComm) reported 551 commercial LTE deployments worldwide, while 206 of those operators have already evolved to LTE-Advanced. Worldwide, LTE is forecast to continue its momentum, reaching over 2.5 billion connections by the end of 2017, 3 billion in 2018 and 4.9 billion connections in 2022. 5G is expected to accumulate connections starting in 2019 and by 2022, it is forecast to have 389 million connections worldwide. In Latin America, there are now 695 million total mobile wireless subscriptions, of which 159 million were LTE connections; 77.6 million new LTE connections added year-over-year from 2Q 2016. Ericsson provided a quick update on its activities with Licensed Assisted Access (LAA), a technology which it says will enable commercial gigabit services in the near future. LAA allows operators to use unlicensed spectrum in combination with their licensed spectrum. The technology is designed to co-exist with other unlicensed spectrum technologies such as WiFi via a feature termed 'listen before talk', which allows fair coexistence between LTE-LAA and WiFi. Recently, Telstra, in partnership with Ericsson and Qualcomm, became the first carrier to launch a commercial Gigabit LTE network. The gigabit downlink performance is enabled by LTE Advanced features including 4x4 MIMO, 3CA (Three Carrier Aggregation) and higher order modulation (256QAM). On the uplink, Telstra's new network capability uses 64QAM and 2CA (Two Carrier Aggregation) for a peak upload speed of up to 150 Mbps. NETGEAR's Nighthawk M1 Mobile Router (MR1100) leverages 4x4 MIMO and is equipped with the Qualcomm Snapdragon(TM) X16 LTE modem. In June, AT&T and Ericsson conducted a live LTE-LAA technology field trial, during which initial wireless data rates of more than 650 Mbps were achieved in downtown San Francisco. Also in June, T-Mobile completed the nation’s first mobile broadband data session live in the field using License Assisted Access (LAA) on its commercial network. Italian operator TIM has achieved speeds of nearly 1Gbps on its live advanced 4G network in Milan using Ericsson’s LAA technology. Ericsson, Verizon and Qualcomm achieved a speed of 953 Mbps in a joint commercial network deployment in Boca Raton, Florida. This is the fastest announced speed leveraging LAA technology achieved in a real-world, dynamic network environment in the US. South Korean operator SK Telecom and MTS, the largest mobile network operator in Russia, have all recently completed their own LAA trials. Ericsson introduced its micro Radio 2205 for LAA. Designed for unlicensed spectrum use, Ericsson’s micro solution provides small dimensions, flexible mounting and superior performance. Qualcomm Technologies provided a Qualcomm Snapdragon 835 mobile platform device, with Gigabit LTE capability thanks to the integrated Snapdragon X16 LTE modem. Global LTE connections rose 81 percent year-over-year in the third quarter, according to figures from Ovum that were reported by the 5G Americas trade organization. "LTE continues its tremendous uptake by customers in North America as subscribers reap the benefits of fast data speeds and 'everywhere connectivity' as wireless carriers deploy new LTE-Advanced features," stated Chris Pearson, President of 5G Americas. LTE's penetration rate as a percentage of connections to the population of 360 million in North America reached 79 percent. This penetration rate compares to Western Europe at 43 percent penetration and Oceania, Eastern and Southeastern Asia with 41 percent penetration. In North America, LTE penetration is expected to pass 100 percent in 2019. Latin America and the Caribbean added 59.4 million new LTE connections year-over-year in the third quarter -- more than doubling the region's LTE connections with a 154 percent growth rate. 1 million 5G connections forecast in 2020 -- nearly 50 percent of global 5G connections followed by Oceania, Eastern and Southeastern Asia with 28 percent and Eastern Europe with nearly 19 percent. 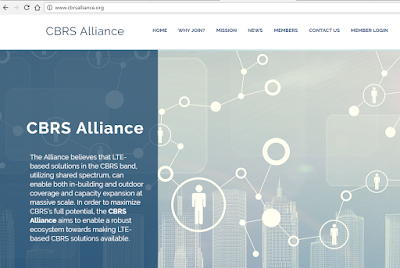 The Citizens Broadband Radio Service (CBRS) Alliance, which was formed in February 2016 with the goal of making LTE-based solutions in the 3.5 GHz CBRS band widely available, announced the addition of Accelleran, Airspan Networks, American Tower Corp., AT&T, Baicells, CableLabs, Ericsson, ExteNet Systems, Nsight, Ranzure Networks, Rise Broadband, and ZTE as members. Founding members of the alliance include Access Technologies (Alphabet), Federated Wireless, Intel, Nokia, Qualcomm and Ruckus Wireless (now part of Brocade). Qualcomm, in collaboration with Telstra, Ericsson and NETGEAR, showcased the first Gigabit Class LTE mobile device and the first Gigabit Class LTE commercially ready network. The results of this relationship includes: The NETGEAR Mobile Router MR1100, based on the Qualcomm Snapdragon X16 LTE modem along with Qualcomm Wi-Fi solutions, which is the first consumer end device capable of reaching Gigabit Class LTE download speeds up to 1 Gbps; and Telstra’s new Gigabit Class LTE network enabled by Ericsson. Telstra said its LTE network can support over-the-air data download speeds up to 1 Gbp. 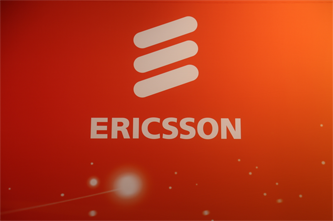 The network uses network infrastructure equipment and software from Ericsson. Sequans Communications is demonstrating its LTE Category M1/NB1 chip at this week's CTIA’s Super Mobility Week in Las Vegas. Sequans’ Monarch chip will be shown in live communication with an LTE eNodeB (base station) emulator, the Amari OTS 100 from Amarisoft. Monarch is an LTE Cat M1/NB1, LTE Release 13 solution. It is designed specifically for narrowband IoT applications, including sensors, wearables, and other low data, low power M2M and IoT devices. Monarch complies with the ultra-low-power and reduced complexity feature requirements of the 3GPP release 13 LTE Advanced Pro standard, defining narrowband, low data rate LTE technology for machine type communications. “We are very proud to highlight the key capabilities of Monarch in this first-in-the-industry live demo of a Cat M1/NB1 chip,” said Georges Karam, Sequans CEO. "In designing Monarch, we worked from day one to make sure it would be fully optimized in both cost and power consumption to fully unleash the LTE for IoT market potential. I am very excited to say that Monarch is operating as designed and we expect to have it ready for network deployments in Q4. 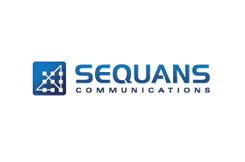 Sequans Communications will deliver LTE Cat 1 technology and products to T-Mobile’s (NASDAQ: TMUS) machine-to-machine (M2M) and Internet of Things (IoT) customers. 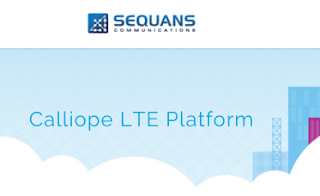 Sequans’ Calliope LTE Cat 1 chipset platform, which uniquely supports VoLTE and enables a wide range of industrial and consumer IoT applications, including asset tracking, alarm systems, telematics devices, retail applications, smart utility meters and more, is now certified and available for use on T-Mobile’s network. 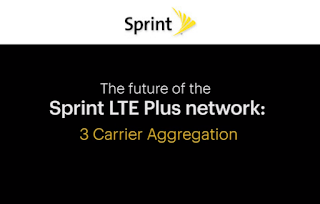 Sprint reached peak speeds of 275 Mbps in three-channel carrier aggregation lab tests using the LG G5, one of the first devices on the market to support the functionality. 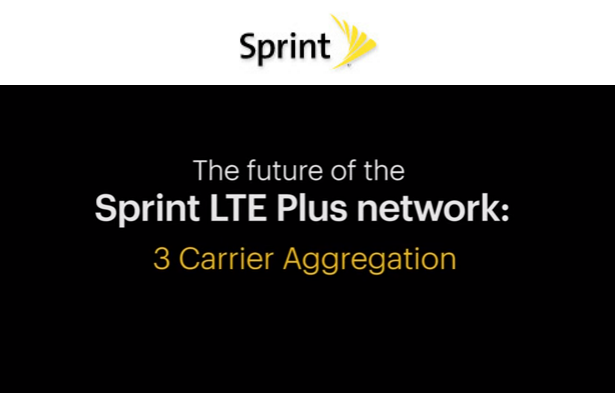 Sprint currently offers 22 devices that actively support two-channel carrier aggregation on its LTE Plus network. Two-channel carrier aggregation delivers peak speeds of more than 100 Mbps in 237 LTE Plus markets across the country using 40 MHz of spectrum on the company’s 2.5GHz cell sites. Six devices currently offered by Sprint are three-channel carrier aggregation capable: the HTC 9, HTC 10, LG G5, Samsung Galaxy S7, Samsung Galaxy S7 Edge, and Samsung Note 7. With three-channel carrier aggregation Sprint will utilize 60 MHz of spectrum to provide peak speeds of more than 200 Mbps on capable devices. Three-channel carrier aggregation is slated for enablement on capable devices via an automatic software update following network deployment. Earlier this month, Sprint reached peak lab speeds of 295 Mbps in three-channel carrier aggregation lab tests using the HTC 10. In March, Sprint demonstrated speeds of more than 300 Mbps using three-channel carrier aggregation on a Samsung Galaxy S7.